The cheetah (Acinonyx jubatus) is a large cat, and is often considered the smallest of the big cats. 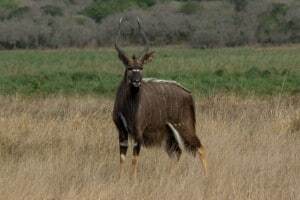 It is famous for being the world’s fastest land animal, reaching speeds up to 112-120 km/h (70-75 mph). It can accelerate from 0-100 km/h (0-62 mph) in only three seconds, rivaling many high performance cars. It is definitely a sprinter as it can generally only keep up top speeds for 500 (1,600 ft) meters. It is the only big cat with semi-retractable claws, meaning the claws are always out to some degree, whereas most other cats can sheath the claws completely to protect them from wear and tear. 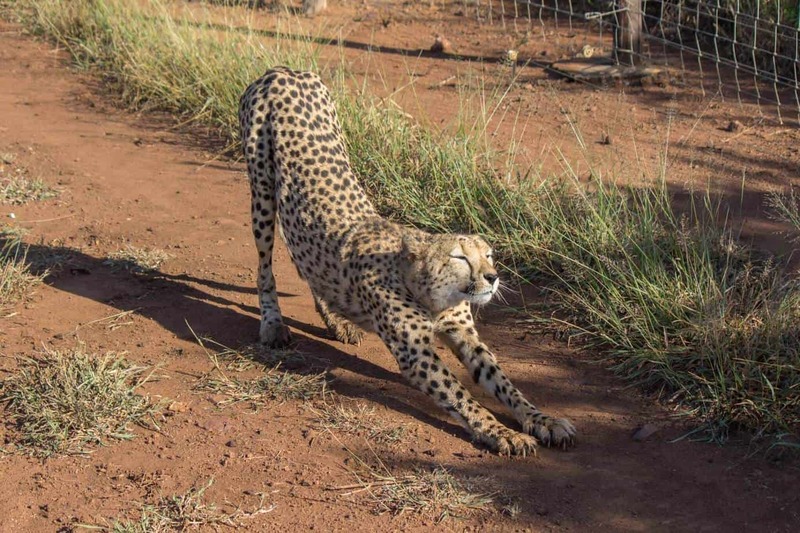 Always having the claws out is an adaptation for running, as it gives the cheetah improved grip, balance and agility when hunting at high speeds. Adult cheetahs are often solitary animals, though groups of males, especially brothers, are quite common. Young siblings will form a coalition for up to 2 years when left to fend for themselves by the mother. Any females will then leave the group, while brothers will stay together for life. Young lonely males are also known to often team up with other unrelated males, while females remain solitary except when raising cubs. 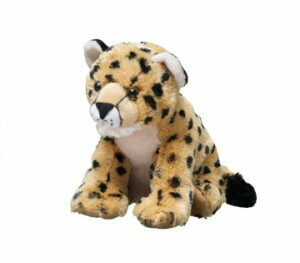 Cheetahs cannot roar like the big cats of the Panthera genus, and a cheetah call sounds more like loud squeaks. It is a call you often hear between mother and cubs, but adult siblings will also make this call to find each other when separated. 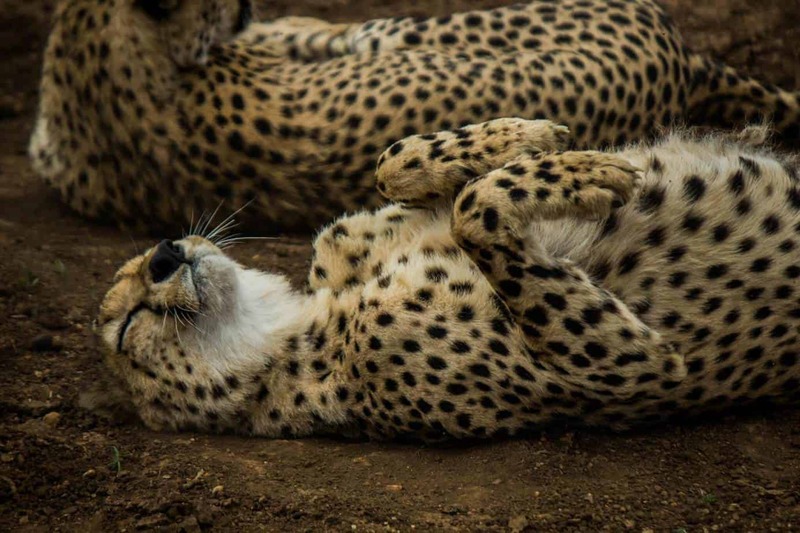 The cheetah can also purr like a domestic cat, whereas most other big cats cannot. 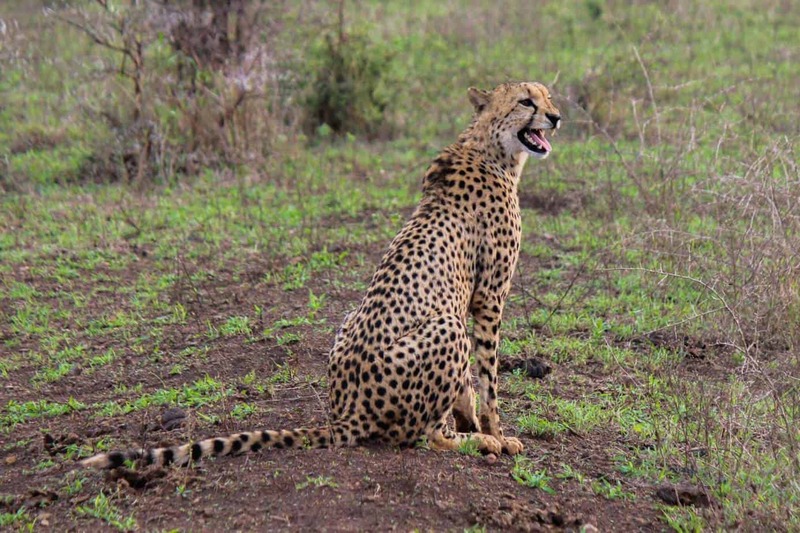 Cheetahs generally prefer open habitats, like savannah and grassland, where they enjoy relaxing on higher ground looking out for potential prey or threats, and it is not uncommon for them to jump on safari vehicles for this very purpose. Contrary to popular belief, a cheetah does not need these large open areas to hunt, as their main weapon is not speed but their agility. 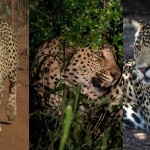 They can therefore also successfully hunt in denser forests. They can do sharp turns in either direction using their athletic build, semi-retractable claws, and the tail which acts as a rudder. 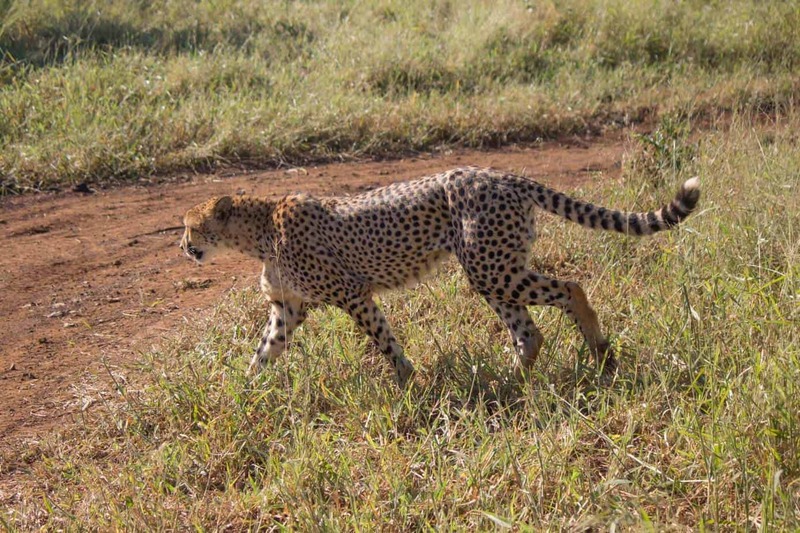 Another myth is that cheetahs abandon hunts because of overheating. This is not true, and it is found that their body heat is only elevated noticeably after doing a kill. This is thought to happen because of the stress inflicted by possibly having to deal with larger predators coming to steal it from them. 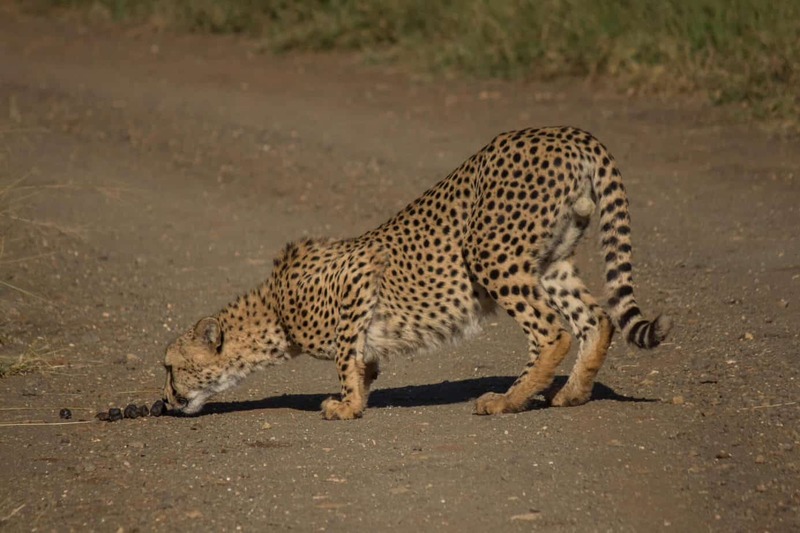 Cheetahs hunt smaller prey than the larger cats, with prey averaging 40 kg (88 lb). 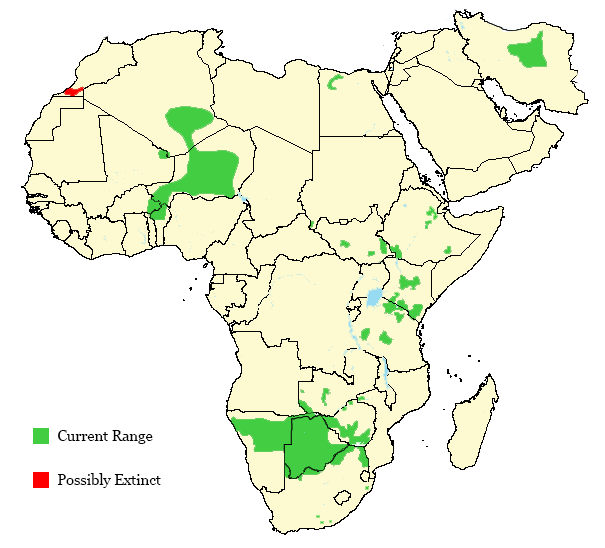 Common prey species are Thomson’s gazelle and Grant’s gazelle in East Africa, springbok in southern Africa, and impala wherever they occur. Young of larger species are also taken. Adult wildebeest and zebra can be taken down when hunted in groups. Cheetahs rely on sight when hunting and needs daylight to succeed. 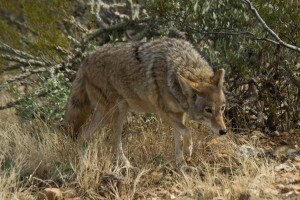 It will most often hunt in the early morning or evening to avoid the hottest hours of the day. They will stalk the prey to within 10-30 m (33-98 ft) before giving chase. They will then try to trip the prey before grabbing the throat to suffocate it. A cheetah will eat its kill as fast as possible to make sure it get its share before any larger carnivores come and steal it. 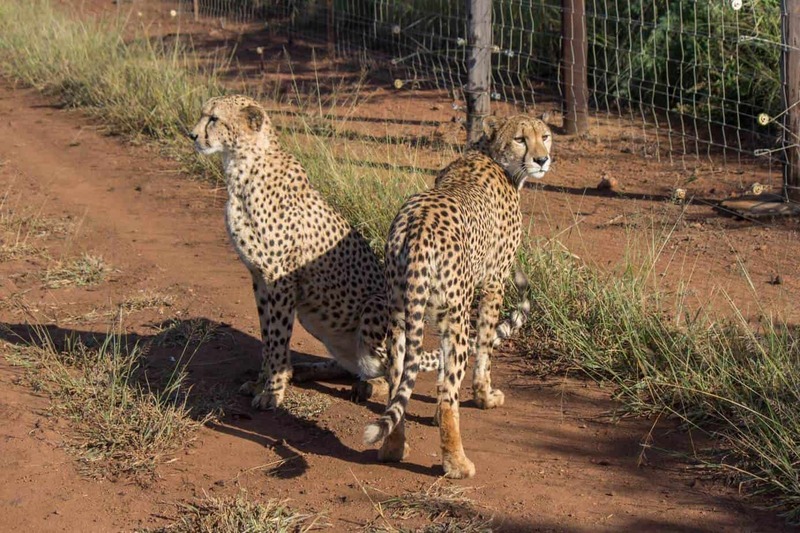 Here’s a video of two cheetah brothers on the move after being chased off a kill by lions. Notice how full their bellies are. 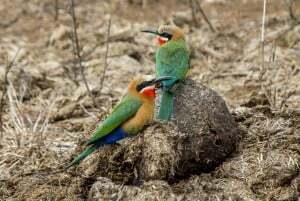 Males reach sexual maturity after one year, but will seldom mate before three years of age. For females it takes about two years until they reach sexual maturity. 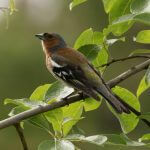 There is no breeding season, and mating can happen throughout the year. After a gestation period of 90-98 days a female can give birth to up to nine cubs. The cubs are born with a characteristic lighter and furry coat spanning from their head and down their back. Some speculate that this is an adaptation to make them look like a honey badger, a highly aggressive, but small carnivore known to not even back down when faced against lions. The cubs stay with their mother for 13-20 months, at which time she will leave them to fend for themselves. Cheetahs were tamed by the ancient Egyptians for hunting practices and status symbols. This practice was further introduced in Persia and eventually India, where it was common until recent times. The cheetah was often owned by princes and kings. Genghis Khan is known to have had cheetahs as pets. The ruler of the Mughal Empire, Akbar the Great, is believed to have had as many as 1,000 cheetahs at his disposal. There are six recognized subspecies of cheetah. 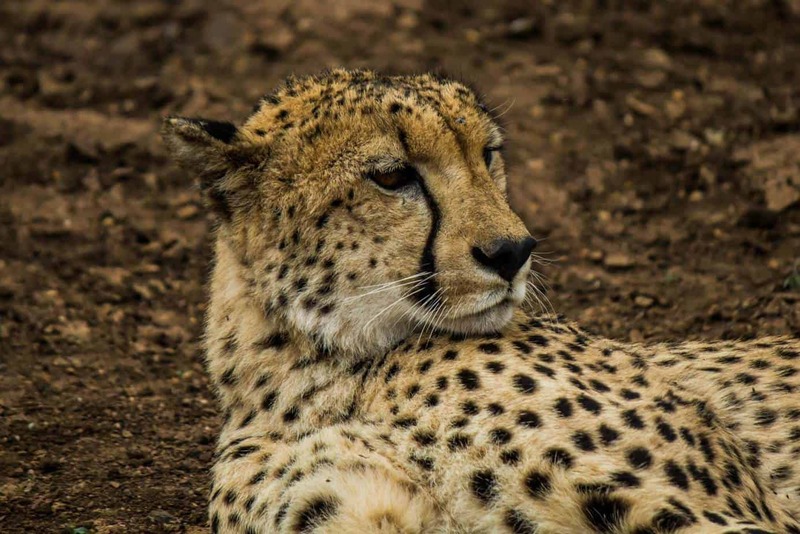 The cheetah used to be common throughout Africa, the Middle East and into India. 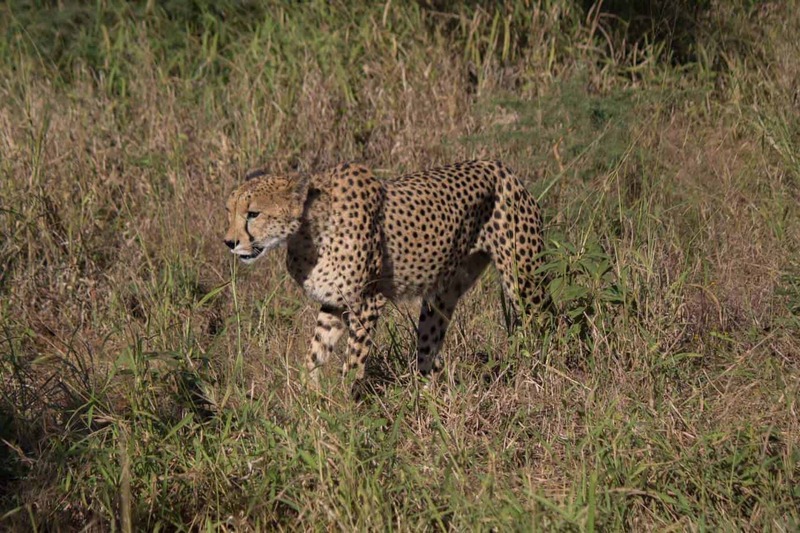 There are still some Asiatic cheetahs (A. jubatus venaticus) left in the wild. One population is surviving in Iran and some are believed to still exist in Pakistan, though confirmed sightings are rare. 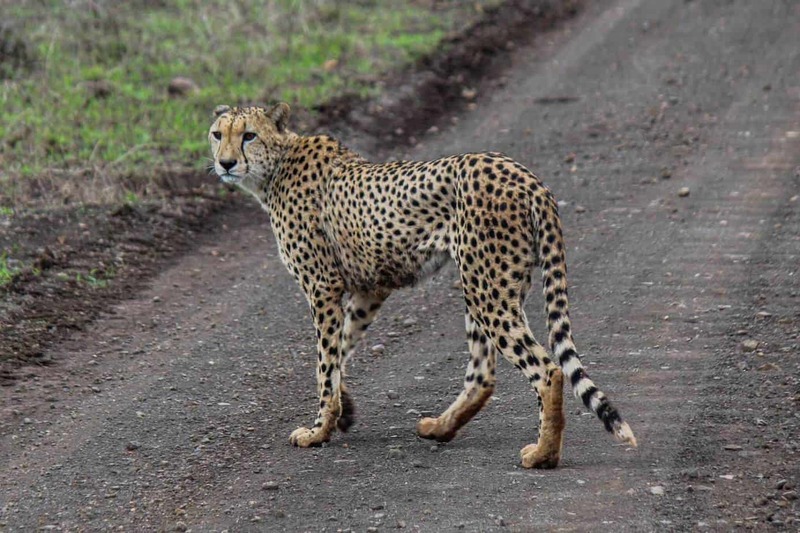 There are today 7,500 cheetah left in Africa, with only 70-100 in Iran. 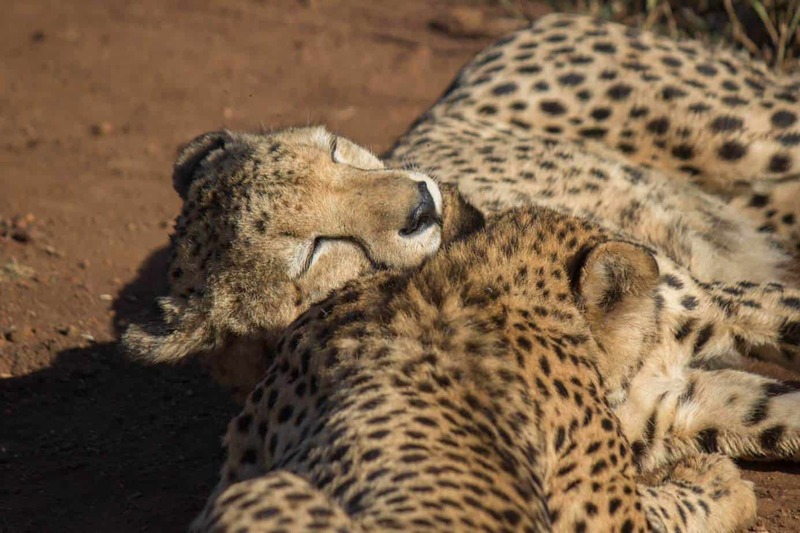 The cheetah is listed as vulnerable on the IUCN Red List, with the Asiatic and Northwest African or Saharan (A. j. hecki) subspecies listed as critically endangered. 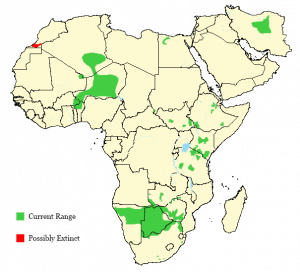 The cheetah used to be hunted for its coat, but today the biggest threat is habitat reduction and fragmentation. It has an incredibly low genetic variation within its population, which means the species went through a bottle-neck sometime in recent history. A bottle-neck is when a species is reduced to so few individuals that specimens are often forced to mate with close relatives, leading to very low variability in the genetic material. 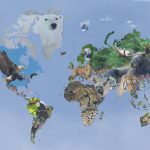 Such species are often very sensitive to change, and diseases can have detrimental effects. 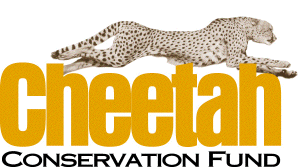 Mission: The CCF is the world’s leading organization dedicated to saving the cheetah. 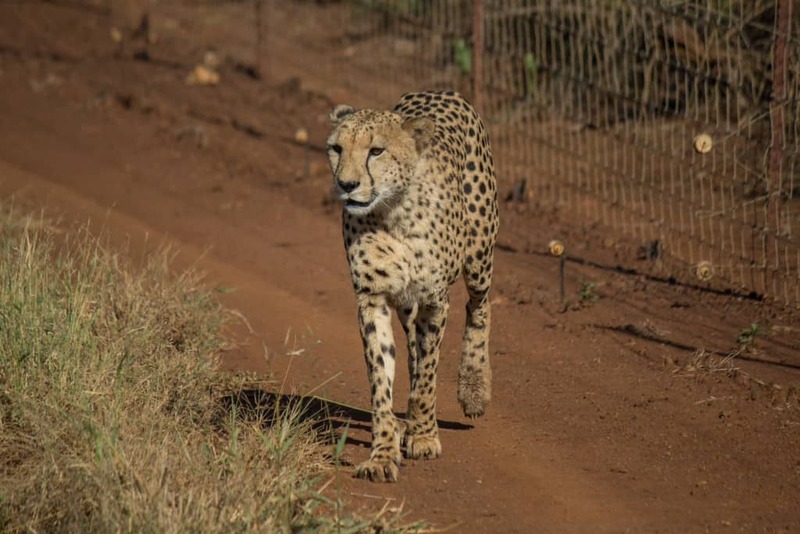 Mission: To determine the threats that cheetahs face in the Greater Mara Ecosystem and to develop sustainable solutions to mitigate them. Mission: To preserve the Botswana’s cheetah population.